First grade teacher Amy Boelzle is making education fun and interactive for students at Dingeman Elementary School while also working to support the environment. Voted Teacher of the Year in 2017-2018 at Dingeman Elementary, she manages a butterfly garden at the school that she incorporates in to her life science lessons, and she has taken it a step further to expand the effort to the Scripps Ranch community. Boelzle inherited the garden from Sara Church, a former third grade teacher at Dingeman, who initiated many science and conservation activities at the school prior to her retirement. Among her contributions were creation of the Green Team – a group of third graders responsible for recycling at the school – as well as building a butterfly habitat, and installing vegetable planters around the school. Given her love of nature and passion for gardening at home, Boelzle partnered with Church when the project first began, picking out most of the plants that would be included in the garden. Boelzle selected milkweed as a plant of choice for the school garden, as well, because it has a low water requirement and attracts monarch butterflies. She explained that the monarch only lays its eggs on milkweed, and the caterpillars exclusively eat this plant before creating their chrysalis. At the end of last school year, Boelzle gave milkweed seeds to her students in hopes that they would plant a garden at home, helping the monarchs to continue to thrive beyond the school’s campus. 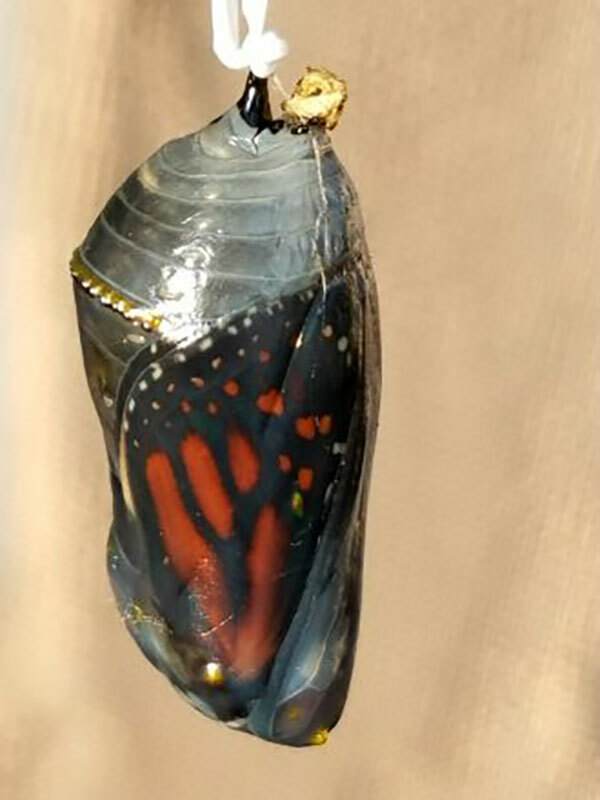 According to the Center for Biological Diversity, the population of monarch butterflies has plummeted by 90 percent in the past 20 years due primarily to climate change and pesticides, which threaten their sole host plant. 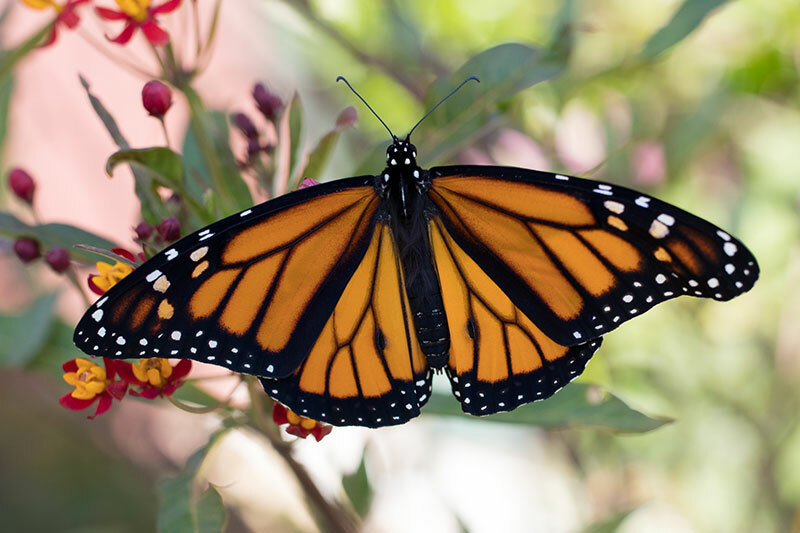 The organization filed a petition to protect monarchs as “threatened” under the Endangered Species Act, and a decision is expected by June 2019. Abraham Eusebio is a second grader at Dingeman who was in Boelzle’s class last year. His family planted the seeds received from his teacher and they have enjoyed the experience this summer. The Eusebio family is not the only one in town that finds raising monarch butterflies rewarding. Bettina Mitteer is a Scripps Ranch resident who has been raising monarchs at home for three years. 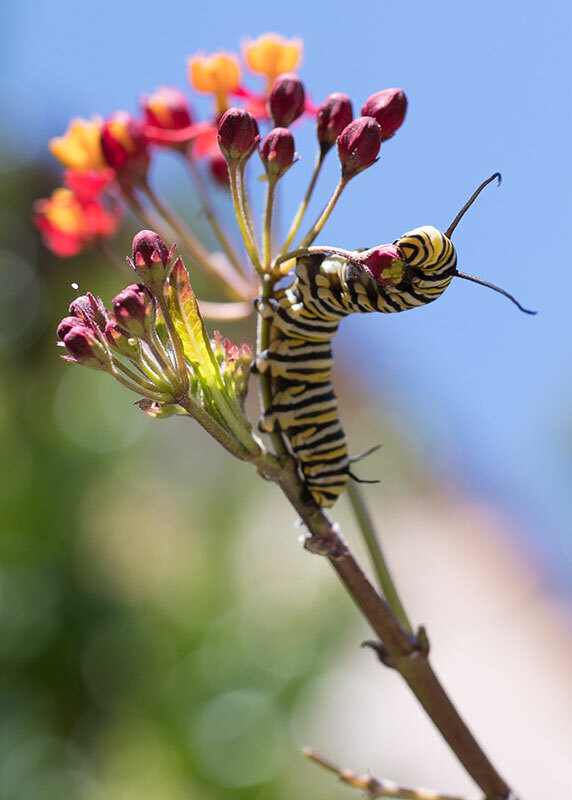 She has also been known to give away milkweed and monarch caterpillars to her neighbors through her local Buy Nothing Facebook group, complementing it with mentoring and strategies for maintaining a successful habitat. Anthony Eusebio, Abraham’s father, said that Boelzle has done a great job of educating students on the importance of the environment and ways to care for it. Looking ahead, Boelzle hopes to get even more parents involved as she, along with students and her fellow educators, work to continue conservation and beautification efforts at Dingeman Elementary and in the surrounding community.